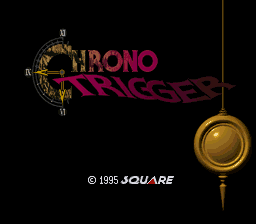 The unofficial successor to Final Fantasy III, another SNES classic by Squaresoft called Chrono Trigger, was completely translated by me in the relatively short time of almost three months (April to June 2003), including the numerous graphical elements. Here too I could rely on the help of many “colleagues” to make the patch truly complete. An extensive script revision followed in 2009, so that I can now hope to present to you the best Chrono Trigger of all times. :-) Nevertheless bug reports are still welcome of course - but please keep the notes in the included text file in mind.